Intermedia Global is a UK based market leading full-service provider of International B2B & B2C Direct Marketing and Database Solutions. We specialise in providing profitable acquisition, retention and business intelligence solutions utilising our expertise across our List Sourcing, List management, Data cleaning & Enhancement, Analysis and Data Processing divisions. All data collected will be used solely by Intermedia Global Ltd either for carrying out our business function of providing database solutions, as well as our internal marketing communications and for our web site evaluation. Our web site does not automatically capture or store personal information, other than logging the user’s IP address and session info such as the duration of the visit and the type of browser used. Through Google Analytics, this is recognised by the Web server and is only used for system administration and to provide user statistics. 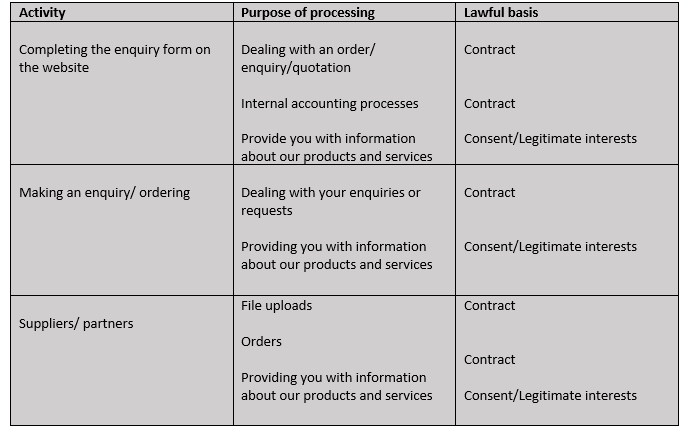 You may be asked for personal information (restricted to carrying out our business function) and company information if you would require further information on our services, upload data files or if you wish us to contact you. In each case we will only use the personal information you provide to deliver the information you have told us you require, and you will be informed of what we will collect and agree this in advance. We do store, contact name, company name, full address, telephone, fax and email. Should you wish to withdraw your consent to marketing communications from Intermedia Global, please contact us. There is a facility on our website for you to state your communication preferences and to update them as and when they change. As is your right under GDPR, you are entitled to know exactly what data Intermedia Global store about you. This Act is called the Access to Information. Should you request to access any information we have about you, we will supply it within 3 days (72 hours). In such case, we will keep your contact details only to ensure that we do not contact you again for marketing purposes.